There appears to have been a significant influx of Pied Kingfishers into the eastern part of Arabia in late October and early November 2015. Records have occurred in the United Arab Emirates with a female at Al Wathba Camel Racetrack 15 October the twenty-fifth record for the country, closely followed by a female at Ajban 19-20 October and possibly a different bird at the same location 4 November. In Qatar there was a female on 26 October. In Kuwait seven birds were at Al Jahra Pools Reserve 27 October increasing to ten 5 November. In Saudi Arabia there was a single female at Sabkhat Al Fasl 23 October increasing to a minimum of ten 7 November when Mohammed Alruqaya said he saw birds at a minimum of twenty locations so the numbers could be much higher. 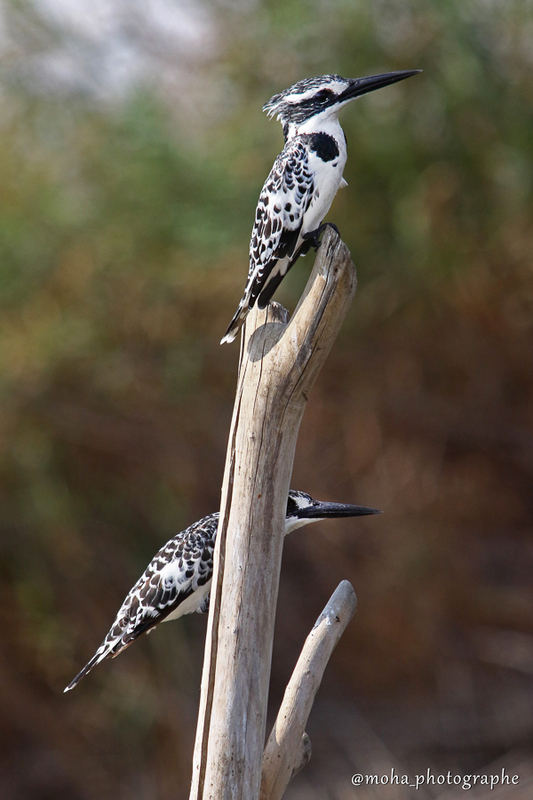 Ten birds together is the largest gathering of Pied Kingfishers seen in the Saudi Arabia at any one time and indicates that an unprecedented number of birds have passed through the region in recent weeks. Birders in other areas of the Eastern Province as well as the Riyadh area, and maybe further afield, should also look out for this species as there will almost certainly be other birds about that have yet to be found. 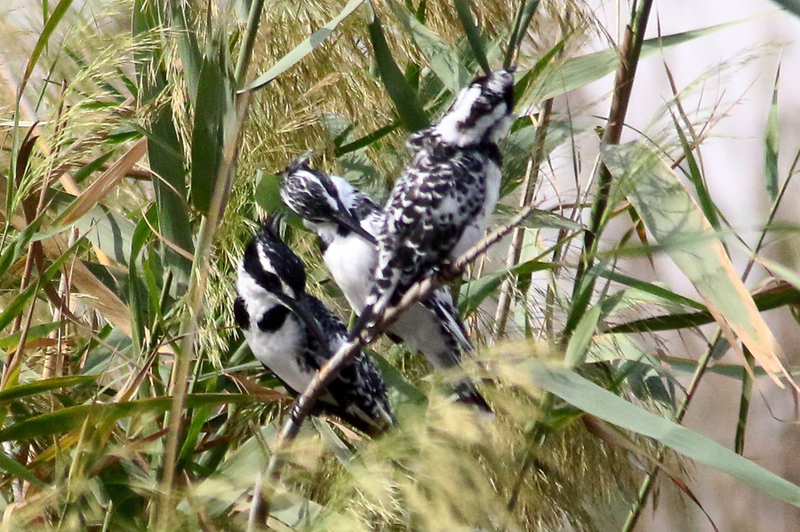 I would like to thank Mohammed Alruqaya for sending me his photos of some Pied Kingfishers together at Sabkhat Al Fasl that are reproduced below with his permission and remain his copyright.